Sometimes you just have to admit when you need H E L P.
We all have our strengths, gifts, and talents. Equally so, each of us has things that we struggle with regardless of our best efforts. Try as I may, try as I might, I knew my coffee bar was missing something, but I just couldn’t put my finger on it! I knew I had to call in the reinforcements! Enter: Kelly Jo from Jo Design Company. Kelly Jo is the Interior Designer that rescued my coffee bar! It’s important to recognize when a job requires a professional. I was so blessed to have her come in and redesign my coffee bar space! Compare my before and after pics – the proof is in the puddin’! 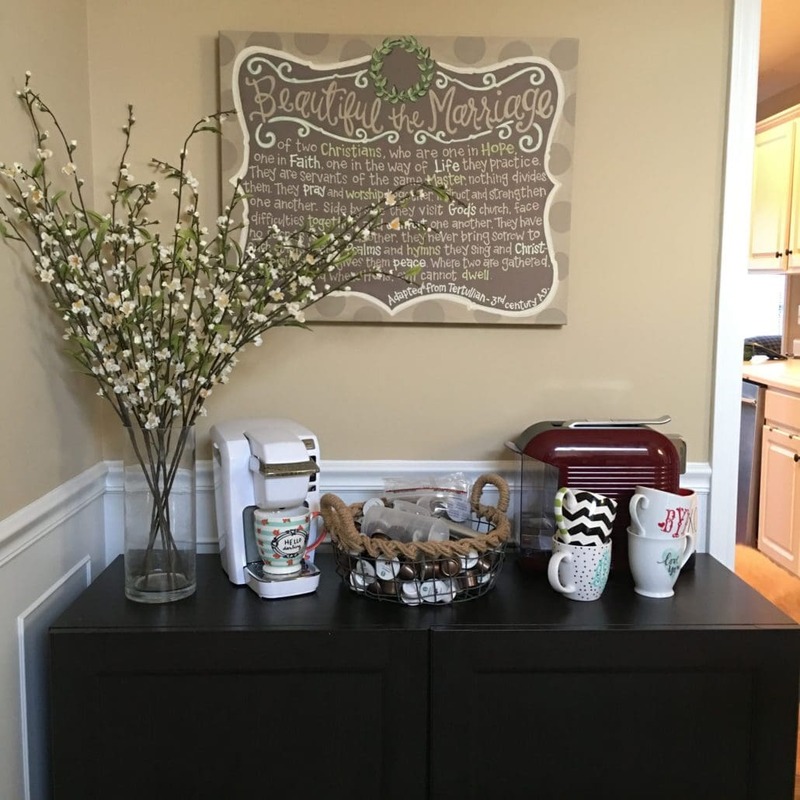 Placement – Consider the flow of your space with the coffee bar in it. Decide where it fits best: countertop space, a separate place in the kitchen, or maybe even in the dining room. Coffee – Of course! Hot chocolate is also a fun addition for the kiddos or non-coffee drinkers. 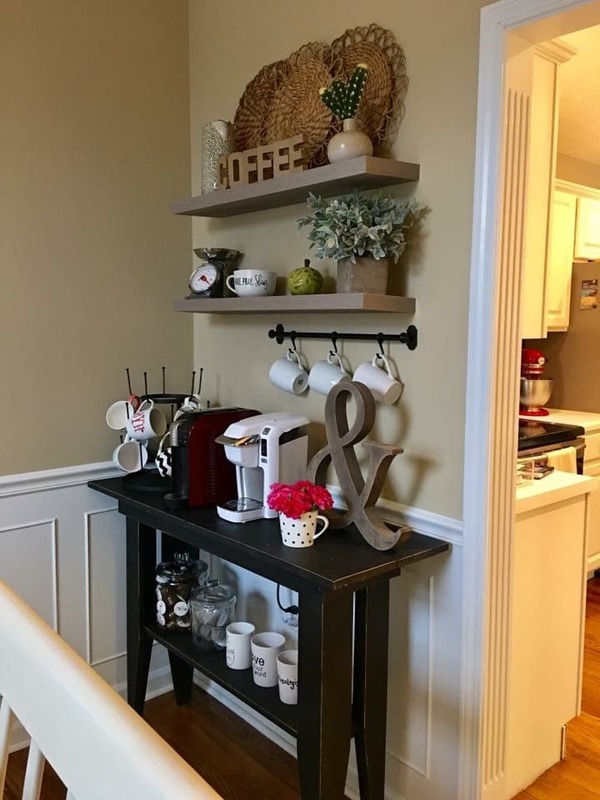 Coffee Cups – Accessible/visible to keep with the flow of your space. Utilize the space that you have! Warm/Inviting – Think about adding a pop of color or maybe some fresh flowers to add warmth. Personal – Really it all boils down to making it your own and making it work in your everyday life! 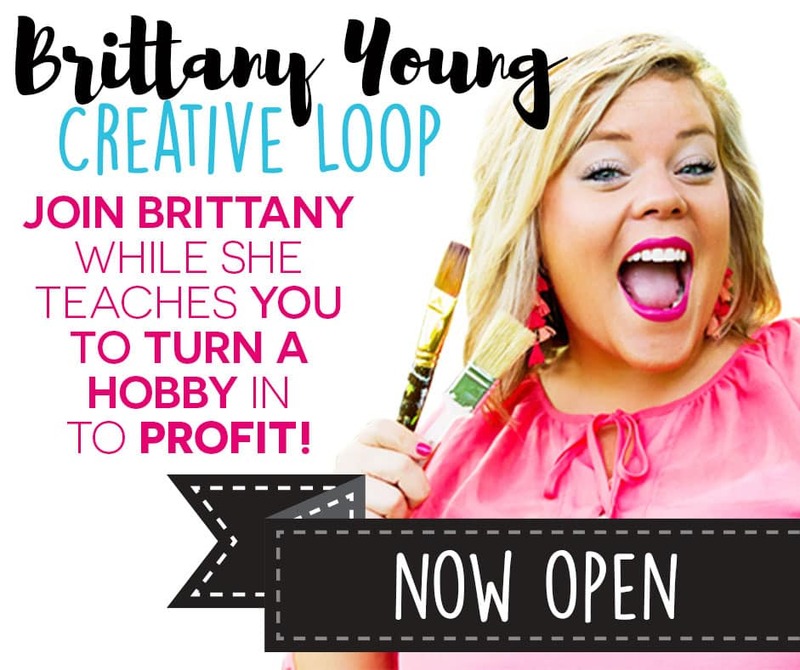 #live with Jo Design Company with 5 coffee bar decorating tips!!! If you enjoy a little DIY on the weekends, check out some of our other home projects!